The Rollo stands in Tepeaca, a community in central Mexico. 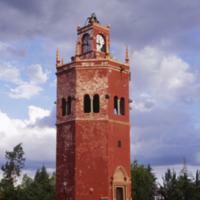 Today the Rollo is a clocktower. In the colonial period it once served as a picota, where public punishment was meted out to wrongdoers. The Rollo’s style and manner of construction is indebted to Islamic, indigenous and Spanish traditions of architecture and design. The octagonal plan of the Rollo and its high windows are reminiscent of Islamic architecture—well known to Spaniards because of the once-dominant Islamic culture in southern Spain. Its closest architectural parallel is the Torre del Oro in Seville, the city from which vessels set sail for the New World. The clock represents a modern addition to the colonial watchtower. The interior of the building has a spiral staircase. The names of the architect and laborers are not known today. The laborers who cut the stone of the Rollo and erected the building—and the women who fed them—were Nahuas, and their knowledge would have been essential to the structural features of the building. The style of the Rollo, which draws from both Spanish and Islamic traditions, is often called mudéjar. The indigenous community of Tepeaca was one of many in central Mexico to be relocated under the Franciscans, and the Rollo was built in the newly congregated town. 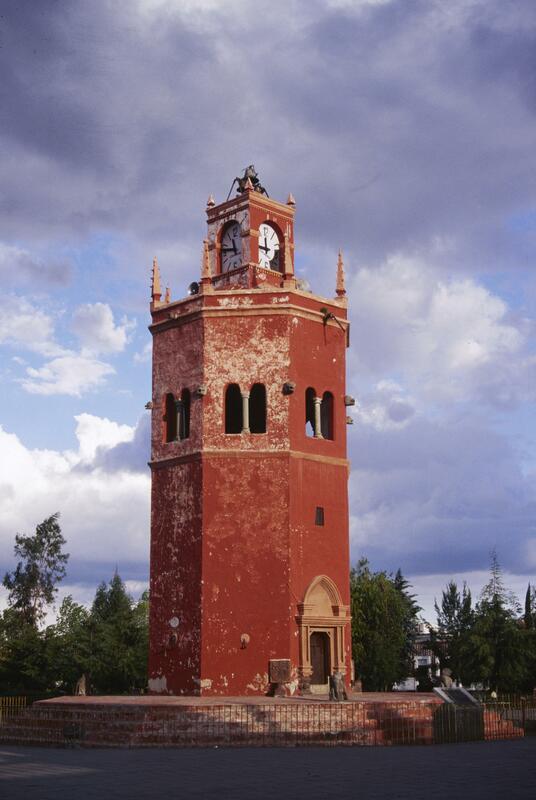 Prior to that, Tepeaca had a vibrant history, and, through the 16th century remained an important indigenous town. As a building that references multiple cultural traditions and styles, indigenous, Spanish and Islamic, the Rollo today suggests how culturally mixed Spanish America once was. Beyond this, longstanding social patterns in Tepeaca (and communal cooperation was an essential feature of an ambitious architectural project like this one) became inflected by Spanish models of political order in the 16th century. Picotas represented the permanent presence of Spanish justice. Thus the Rollo is both a visual metaphor for mestizaje (in its Nahua construction in the mudéjar style) and an agent in the creation of mestizo society. Arte Mudéjar: Exploraciones. 2001. Mexico City: Artes de México, vol. 54. Fraser, Valerie. 1990. The Architecture of Conquest: Building in the Viceroyalty of Peru, 1535-1635. Cambridge and New York: Cambridge University Press. Kubler, George. 1948. Mexican Architecture of the Sixteenth Century. New Haven, Connecticut: Yale University Press. López Guzmán, Rafael. 1992. Arquitectura y carpintería mudéjar en Nueva España. Mexico City: Azabache. López Guzmán, Rafael. 2000. Arquitectura mudéjar: del sincretismo medieval a las alternativas hispanoamericanas. Madrid: Cátedra.